Helping our environment starts with each of us. 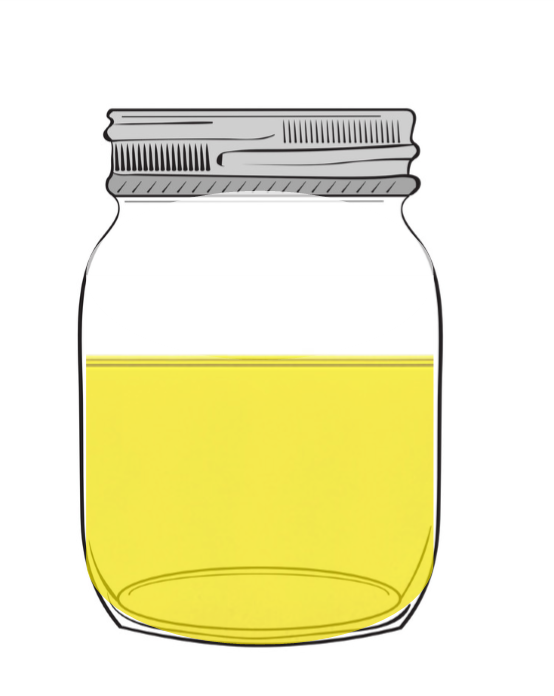 MOPAC has put together a list of how to properly dispose of used cooking oil, depending on quantity. Properly disposing of used cooking oil is not always an easy thing. FOGs or Fats, Oils, and Grease, have been a plaguing problem for water treatment facilities for the past few decades. The grease that is leftover after frying foods cannot be washed down the drains as they will cause buildup on pipes and eventually causes blockages. In the past few years, large cities have spent millions of dollars trying to treat “fatbergs” that clog miles of city sewers. The fatburg is a conglomeration of FOG material mixed with non-disposables like baby wipes that congeal together. Read our article about what grease does to your drain to find out more. Below MOPAC has some advice on how to dispose of cooking oil in several different ways. We also included an infographic to explain things too. If you are a resident who does not own a restaurant or supermarket, then you have limited options as to how you decide to dispose of it. If you have less than 10 gallons a month of used cooking oil, then the next few solutions would be best for you. After you fry food, wait for the grease to cool a little, and then pour it into a leak-proof container. Store in a dark, cool place. Now the next time you want to fry something, consider reusing the grease you saved. You can reuse as long as you are comfortable with the look, smell, and color. Once you have made the decision to use new, fresh oil you can use one of the next strategies to dispose of used cooking oil permanently. If you are looking for an easier solution closer to home, look no further than your favorite restaurant. Most restaurants have collection bins for their fryer grease, usually stored behind their restaurant next to their garbage collection containers. Most stores have their grease collected on a regular basis for free, and a lot of them receive an additional rebate check in the mail for the amount of grease they recycle. So a resident looking to dispose of their small amounts of cooking oil can ask local restaurants to add to their tanks as restaurants and supermarkets are paid by the weight of their used cooking oil. Used or Waste Cooking Oil is considered a somewhat hazardous material, particularly when it is exposed to the environment and wildlife. Fats and Oils released improperly can be detrimental to an ecosystem, whether it is absorbed through the ground or washed into streams. 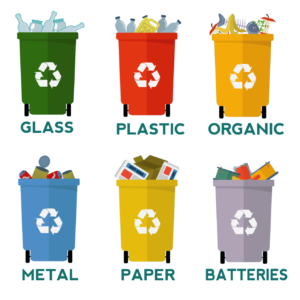 Because of this danger, almost all recycling centers accept donations of used cooking oil, where they are tasked with disposing of it in a safe and proper manner. Some recycling centers have certain containers for oils, or they might have certain days that they accept donations. If you are uncertain, make a call to a nearby center and they would be happy to explain their accepted materials policies. MOPAC can provide several different outdoor containers, which are free with our service. Our containers are made for outdoor weather with 12 gauge steel for years of dependable service. 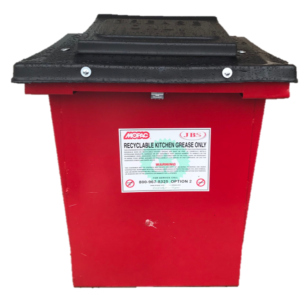 Our smallest option is are a pair of 55 gallon drums that come with lids and locks to keep your used cooking oil clean and safe (grease thieves steal millions of dollars worth of grease annually). There are three different sizes for our outdoor tanks, from small, medium or large. The smallest is 110 gallons, the medium tank is about 200, and the large is 300 gallons. 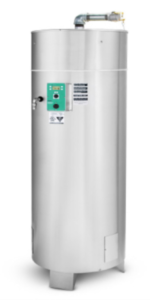 Tanks are best for restaurants or stores that have multiple fryers and are consistently changing their oil. These tanks are leak-proof and locked to keep your valuable used cooking oil safe with two ways to access and remove grease for our drivers. Just pour your used cooking oil into one of these containers after your restaurant is finished frying to help the environment, and your business too. MOPAC can provide an indoor tank as well. This tank specifications can be determined by our customers and can range from about 100 to 400 gallons. The tanks can be placed almost anywhere indoors, and does not necessarily need to be near the fryer. This is because there is remote plumping available, which allows the old fryer oil to reach the tank without ever getting near it. There are also remote access ports, so our drivers can access the tank without ever having to go inside the building. Our representatives can evaluate a property for the best location to install an indoor tank, keeping in mind that our customers want their tank in a discreet location while also giving access to our drivers. Restaurant owners with multiple locations can work with our team for any combination of these solutions for each store. For large venues, disposal services need to be prompt, hassle-free, and consistent. Each location or venue is unique, and MOPAC understands the challenges this poses. We currently partner with various industrial processors, like snack food companies, as well as hotels, casinos, stadiums, and concert halls. MOPAC sources indoor tanks to spec, as well as offering a mobile grease disposal unit that can clean a fryer in 30 seconds and holds up to 75 gallons of used cooking oil, making it one of the safest and most efficient grease collection units on the market. 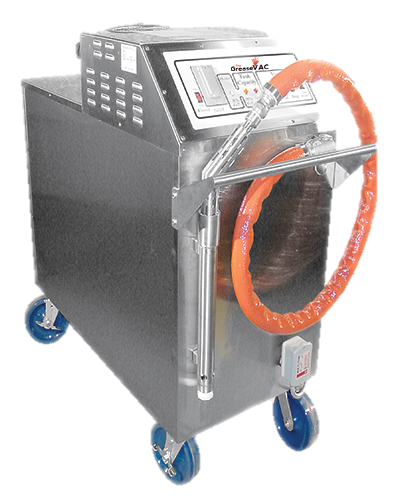 This unit is perfect for locations that have multiple frying locations– your employees won’t have to dangerously tote large quantities of used oil to a central disposal container on property, instead they can bring along this wheeled unit to quickly and painlessly clean a fryer. Just turn off the fryer, remove the baskets and bottom screen, and 30-45 seconds later the fryer is ready to boil out. This one piece of equipment saves an enormous amount of man hours, plus the old oil is easy to transport. Improves safety for potential burns, slips, falls and spillage; increases cleanliness as outdoor containers can be unsightly if not maintained; adds portability because it requires no modifications or special plumbing or piping; increases efficiency because manpower does not need to be spent repetitively waiting for the oil to cool before draining it in inconvenient ways. Find out what MOPAC can offer your company or business today by submitting your information below. Your info is sent to a representative who can answer any questions or concerns you may have. Tell us a little bit about your setup and our team can recommend different solutions for any scenarios. If you’d like to find out more about MOPAC, you can visit our story page to find out more about our history, or you can head to our commitment page to learn about what MOPAC does for the environment.